The Associated Press has reported that over the past 10 years adjudicators at U.S. 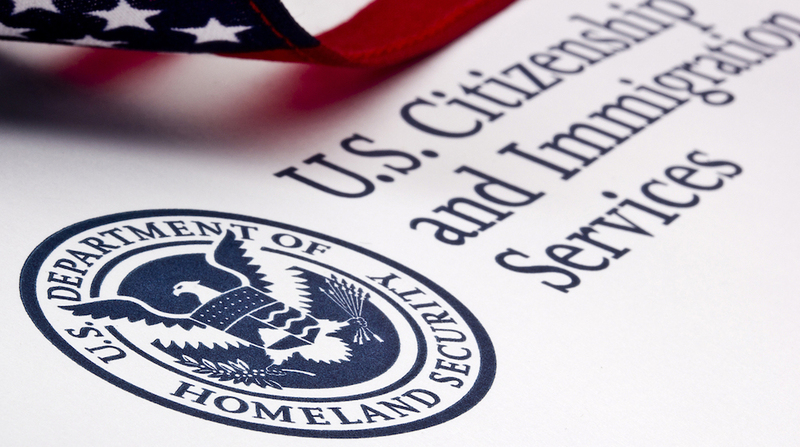 Citizenship and Immigration Services (USCIS) have approved thousands of immigration petitions involving under-aged minors, mostly young girls to be wed to elder men. In some instances, the child was the alien beneficiary who the man (a U.S. citizen or resident alien) was petitioning to bring to the United States; in other instances, the child was herself the petitioner seeking to bring the man as an alien beneficiary to the United States as her spouse. In almost all of these cases, one can rest assured that this involves cultures where young girls are often the subject of arranged marriages with much older men offering substantial dowries for the right to marry, and where the child is basically subjected to incredible parental pressure to acquiesce to the situation. Often the child is raised, even within the United States, in a home environment where fighting the arrangement would be unthinkable. Some commentators have observed that the report, shocking though it is, comports with what many European nations have been obliged to confront as they accept increasing numbers of immigrants from countries where tradition and hewing to cultural or religious norms lead to such results; in some instances, the receiving countries are rethinking their own norms about whether to accept practices involving underage marriage. I hope that we do not reach that point. It seems to me a moral wrong of epic proportions to allow one's society to accept such a cultural norm. Here in the United States, we have clearly articulated notions about the ages at which children are deemed to be of an age and stage of maturity to undertake certain acts: voting, joining the military, drinking or (in those states now permitting it) smoking marijuana, and, not least, marrying. While legislative action to amend the law would be the best solution, that may be unlikely in our deeply divided Congress. I don't suggest that either side of the partisan divide would object to amending the particular statute governing spousal petitions to prevent child brides or husbands; rather, I suspect that each side would find it irresistible to attach other provisions, dangling like Christmas tree ornaments, to anything immigration-related, which might be poison pills for the other side, inevitably leading to complete inaction. The question then arises as to whether or not USCIS and DHS must find themselves hostage to language and circumstance and continue the abhorrent practice that the AP has uncovered. It seems to me that by regulatory interpretation it could be done because although the statute doesn't provide for discretion to deny based on age, it does require that the marriage be "valid". Whether a minor child is capable of informed consent — which is at the bedrock of any marriage — seems to me to be a reasonable construction of that word. Absent informed consent, can the marriage truly be valid? I have no doubt that in short order, after a denial or two or three, the matter would be taken to court. What might happen there is anyone's guess, but in government, there is sometimes a principle so important to try to uphold that it becomes a "fall on your sword" situation. Better that USCIS and DHS issue regulations interpreting such marriages to be invalid — because of the inability of children to form mature judgments and make informed consent — and lose in a court of law, if that is destined to be, than to continue the current practices of approving such petitions, thus condemning child brides (or grooms for that matter) to lopsided relationships that smack of indenture or sexual servitude.